At the end of May, we wrapped up our inaugural CSArt Ottawa season with a project by poet Chris Turnbull. 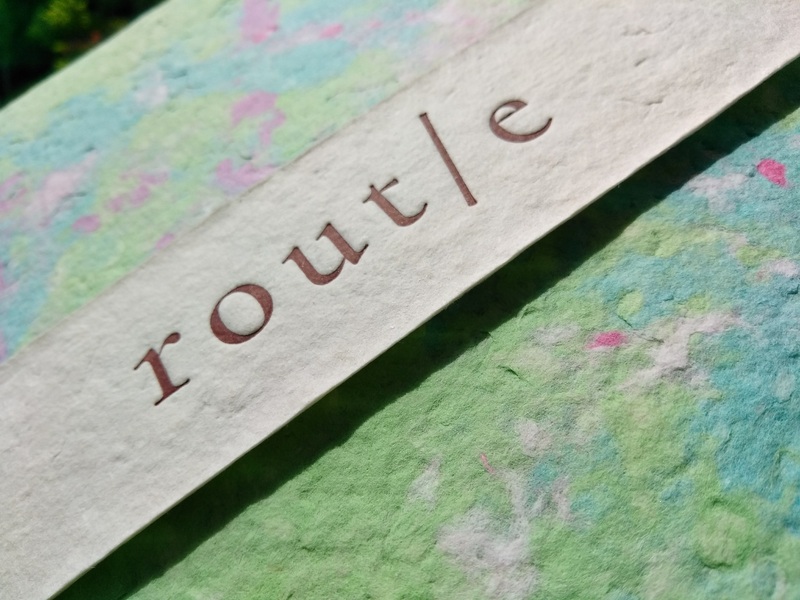 Chris runs an ongoing ‘footpress’ called rout/e, which plants poems in wild, and usually rural, spaces. For CSArt, she created a special urban version of the project. 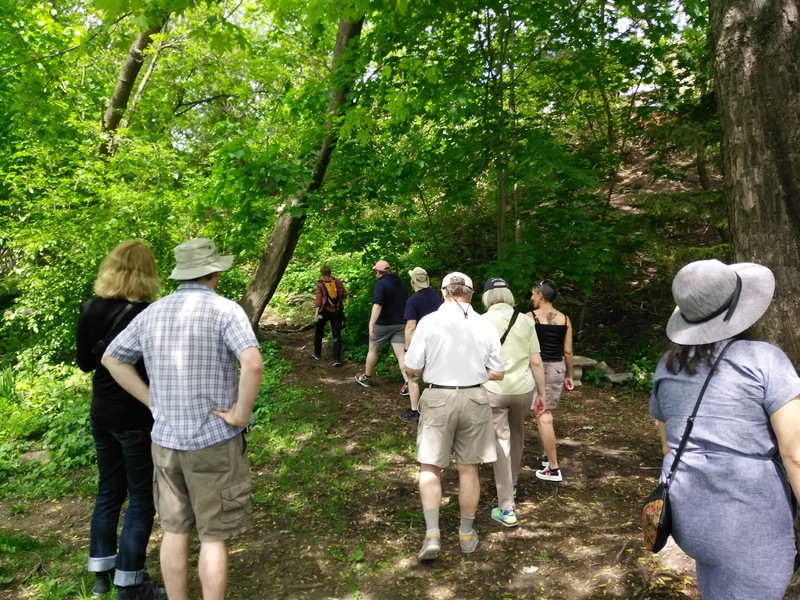 Working with Katherine Forster from Wild.Here., Chris planted poems in ‘urban wild spaces’ –patches of Ottawa where nature remains. She curated 7 poems for this purpose, from 7 different poets: Christine McNair, Shery Alexander Heinis, vera wabegijig, Ian Martin, a. m. kozak, Jenn Baker, and Sarah MacDonell. Subscribers participated in a poetry walk and poetry reading event, and received a letter-pressed publication of the poems presented in handmade paper by Grant Wilkins’ The Grunge Papers. But what we love most about this project is that it has left poetry across the city, for any Ottawan to find. We like to think of strangers happening upon the poems and appreciating the urban wild spaces anew, perhaps rushing around with the daily list of to-dos before being knocked into another plane of thought by a rout/e poem. We’re proud that our 2016-2017 subscribers have put a poetic stamp on the city. Here’s a map of where our rout/e: CSArt edition poems lie. Let us know if you find one! To read Chris’ thoughts on the process and her other projects, visit the rout/e site – it’s a good read. Thank you to Chris for a beautiful CSArt project that brings us to the outdoorsy summer months. It’s been a great year of local Ottawa art for us and our subscribers, and we’re very excited for next year. Have you seen our new roster of artists? It’s gonna be good. Happy summer to all, and we hope you find some poetry.